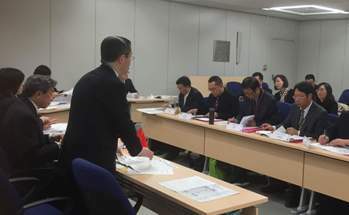 In cooperation with the Jiangsu People’s Association for Friendship with Foreign Countries, JICE conducted a training program for educators of teachers working at kindergartens, elementary schools or junior high schools in Jiangsu Province, China, during the two weeks from February 21, 2016, in Tokyo and Hokkaido, Japan. JICE signed a memorandum of understanding regarding friendly cooperation with the Jiangsu People’s Association for Friendship with Foreign Countries in December 2010 which agreed on wide-ranging cooperation such as mutual visits, expert guidance, personnel training, technical collaboration and youth exchange in the areas of healthcare, agriculture, the environment and education. This training program was based on a request from Jiangsu Provincial Department of Education to plan and provide training in Japan to improve the quality of elementary and secondary educators through cooperation between JICE and educational institutions or local boards of education in Japan. Jiangsu Province has a higher level of education in China and is ranked as a model city for education reform. 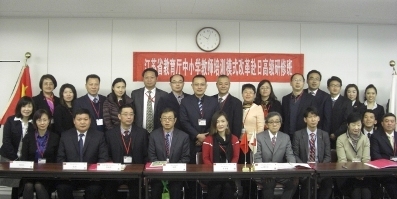 Against this background, educators visited the Ministry of Education, Culture, Sports, Science and Technology, the Education Bureau of the Tokyo Metropolitan Government, and the National Institute for Educational Policy Research, all of which are deeply involved in designing Japan’s education system and teacher training, as well as other educational institutions which practice high ideals of education. They received training to learn ideas, policies and measures regarding teacher training, the structure of teacher training systems associated with the above and practical examples of teacher training systems. At the training review presentation and discussion meeting on the final day, attended by Mr. Kazuo Watanabe, a JICE Advisor (held positions in the Ministry of Education, Culture, Sports, Science and Technology), as a commentator, exchanged opinions concerning what they had been acquired through this program. 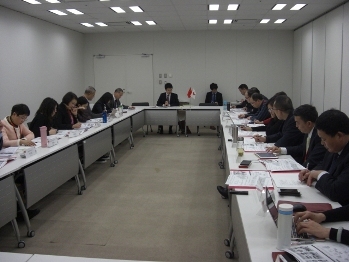 19 mission members who had completed the program mentioned that the education systems of Japan and China have so many similarities that the members could learn a lot from Japan’s education philosophies and challenges. Japan has been accelerating across-the-board teacher training improvement and development based on curriculum guidelines to create an environment in which to realize the philosophy “developing the qualities and abilities required in the new era.” Some members mentioned that this is similar to China’s education system, especially the teacher training model reform, and was very helpful. 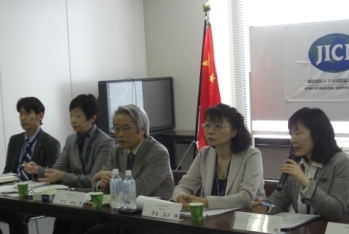 JICE will continue to actively work for promoting civilian exchanges between people in Japan and China.